Former Catalan president Carles Puigdemont watched the Spanish regional vote from Brussels, where he’s currently in exile. The leader of the separatist Junts per Catalunya said the result is uncontestable and European institutions must now pay attention. He also slammed Spanish prime minister Mariano Rajoy who shut down Catalonia’s parliament under Spain’s Article 155 when the region declared independence. “The Catalan Republic has beaten the Monarchy regarding Article 155,” Puigdemont told a crowd of cheering supporters in Brussels. “Let’s hope they understand it. They should realize that. The Spanish State has been defeated. Rajoy and his partners lost and have been slammed by the Catalans. They have lost the plebiscite they wanted to legalise the putch they did with the 155 article”. Puigdemont is now expected to form Catalonia’s next government, in coaltion with separatist parties ERC and CUP. Together the parties won 70 seats – enough to take a majority in the 135 seat regional parliament. 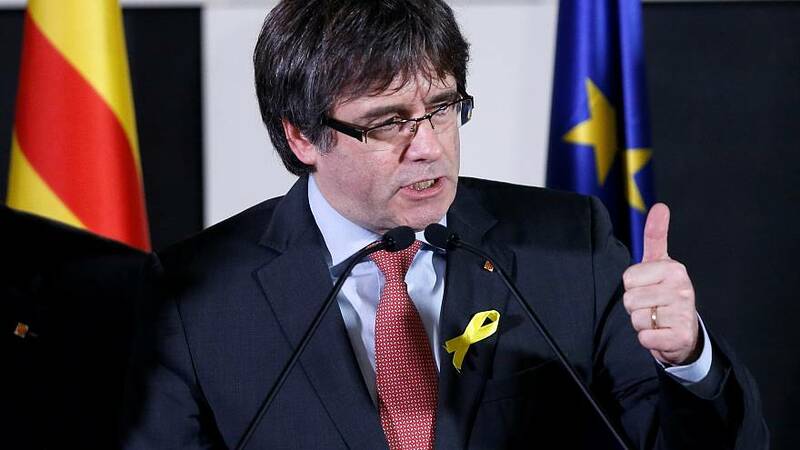 But Puigdemont first has to return to Spain where he’s wanted on charges of sedition, rebellion and embezzlement in connection with Catalonia’s declaration of independence.